Yellow fever vaccine production. 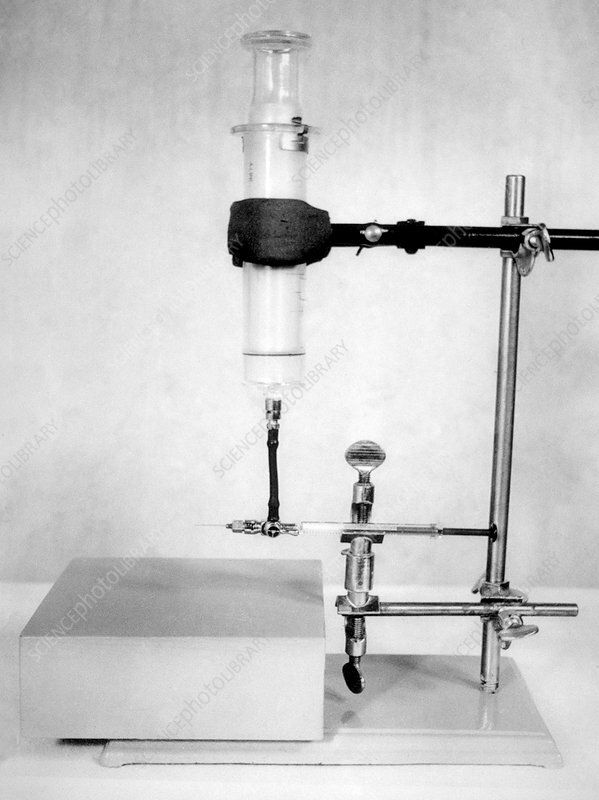 Syringe ready for use in the 1940s to inoculate chicken egg embryos as part of the production of a vaccine for yellow fever vaccine. Yellow fever is a tropical viral infection transmitted by mosquito bite. It causes fever, nausea, and headaches. A toxic form of the disease can lead to jaundice, internal bleeding, and death. An effective vaccine was developed in the late 1930s. Photographed in 1940 at the Yellow Fever Unit in the Rocky Mountain Laboratory, Hamilton, Montana, USA.